Dairy Spares Trusti Tuber Starter Kit - 4L. 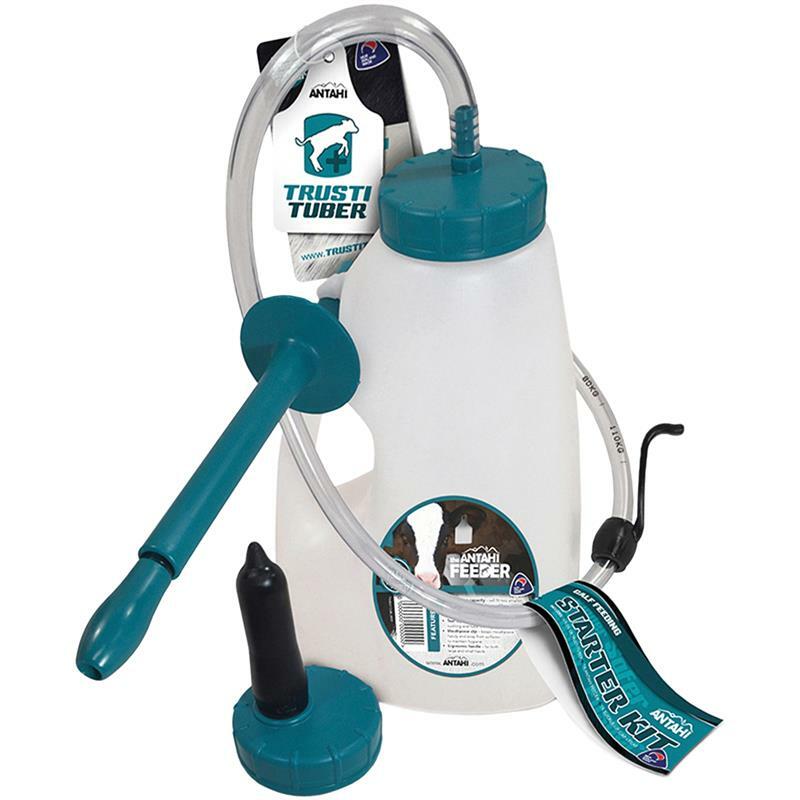 The Dairy Spares Trusti Tuber starter kit is a uniquely designed calf tube feeder. Designed by a New Zealand vet the tube feeder significantly reduces calf stress and discomfort. The soft, flexible tube allows for easy swallowing and calf struggling is minimised, making the feeder very easy to use. The flexible tube can be held in place with one hand. Transparent flexible tube makes it easy to clean and monitor flow. Ergonomic bottle handle is perfect for large and small hands. Reliable valve gives fast flow even with thick colostrum. Shown in trials to almost halve procedure feeding time.